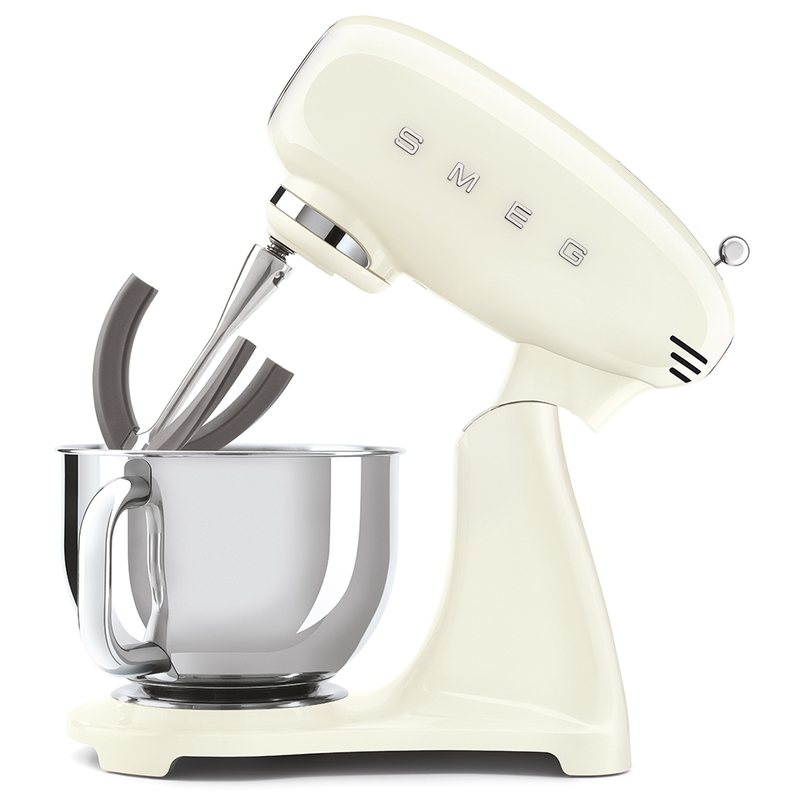 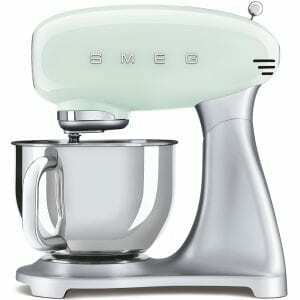 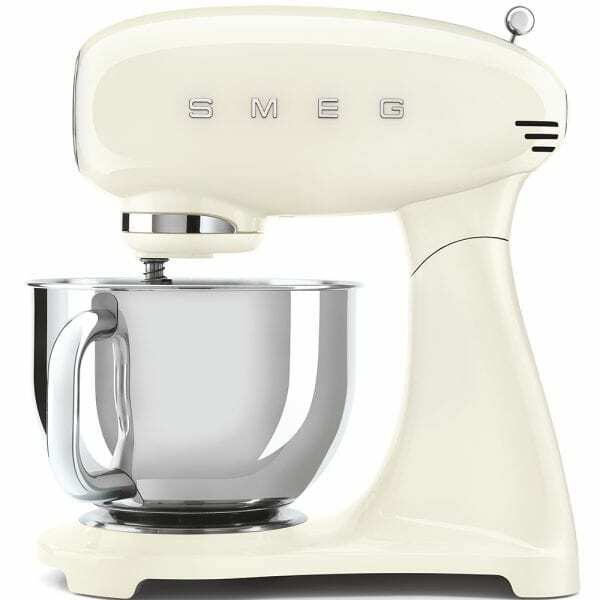 This gorgeous cream coloured stand mixer has the iconic 1950’s retro style we have come to know and love from Smeg. 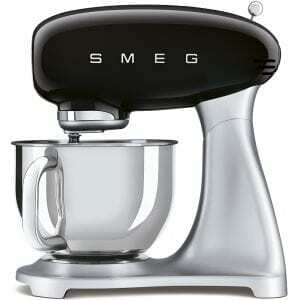 The stainless steel bowl has a 4.8 litre capacity. 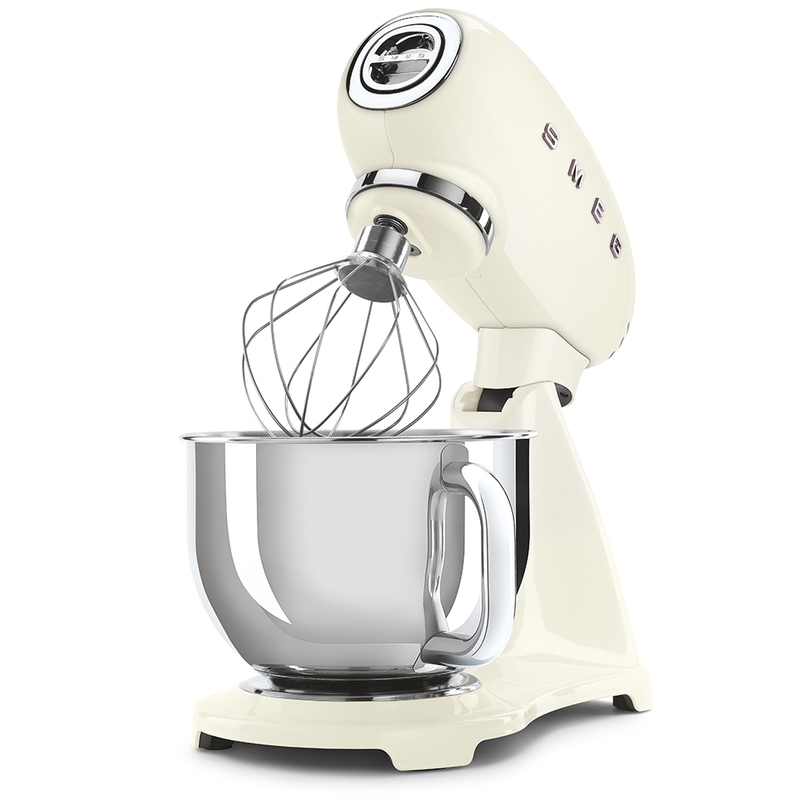 The mixer uses planetary action and there are 10 speed settings including soft start. A heavyweight design and anti-slip feet allow more stability on the work surface and there is also a safety lock which comes into play when the mixing head is tilted upwards. 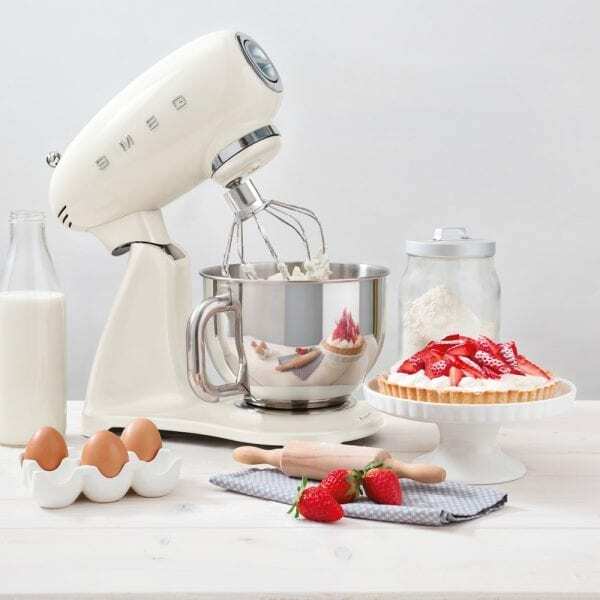 The accessories included with this stand mixer are; an aluminum flat beater and dough hook as well as a new and improved stainless steel wire whisk. A plastic bowl cover and a flex edge beater are also included.